In my previous post, I showed you a recipe to make Char Siu. You can eat Char Siu with rice, but such a delicious meat deserves to be paired with something equally delicious. 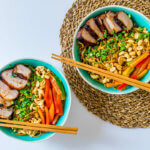 I chose to create a Kung Pao Noodles Recipe with Char Siu. A perfect blend of different Asian flavors. I have a little obsession with noodle, which is why I immediately knew how I would be pairing the Char Siu with. My obsession started during my college years. 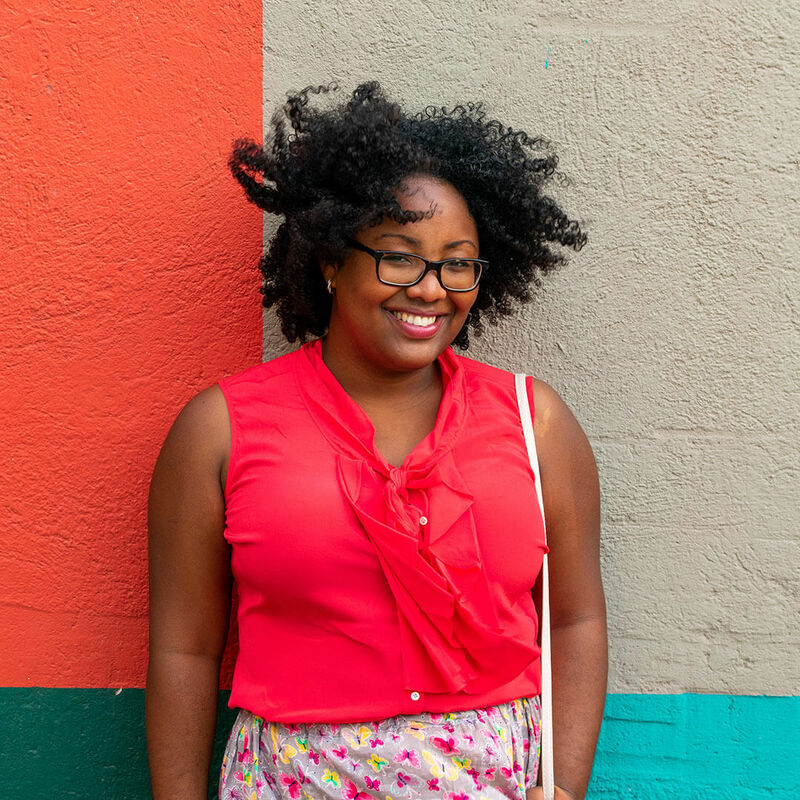 At the start of my college days, I had a pretty long commute because I wasn’t living in the same city as my school. After longs day at school, I used to get my dinner at one of the restaurants at the train station. The big hall was filled with the smell of all types of cuisine and the curious mind in me had to try them all at least once. In one of those endeavors, I ended up having a wok noodle at an Asian restaurant. I was in love! Ever since that day I’ve been trying to perfect my newly acquired taste for noodles. I started making my noodles with ready-made sweet and sour sauce, and although the taste was good, it doesn’t beat the taste of a homemade (from scratch) sauce. Afterward, I started making a peanut sauce with several Asian ingredients. Amazing! This is sauce is a little bit similar to the one I make for the Shrimp Curry I posted in the past. It’s not completely the same but the ingredients are similar. While that one might be my favorite, this Kung Pao Noodles recipe is a good 2nd best. I mean, I really like peanut sauces so that one is a hard one to beat. My obsession for peanut sauce isn’t so weird, however. I truly think that peanuts are a must-have if you really want to stay close to the authentic Asian taste. 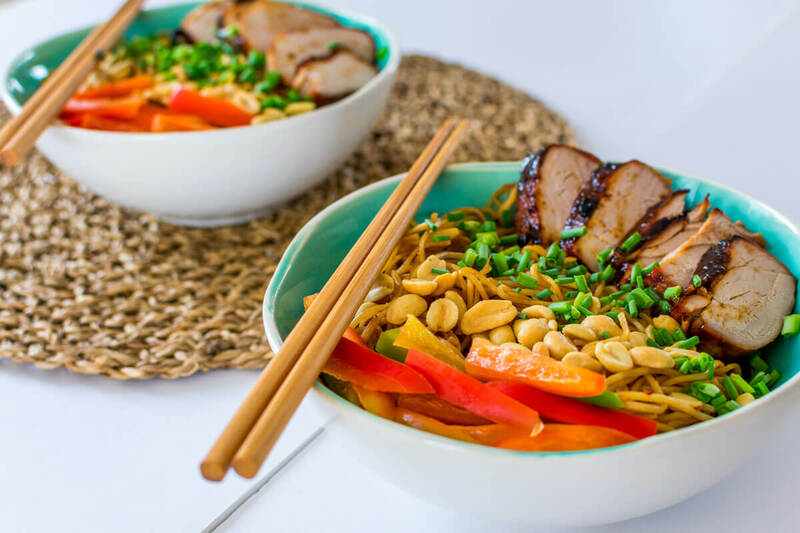 Since I already had the Char Siu made it was an easy choice for pairing, but there are many other ways you can pair the Kung Pao Noodles. You can choose chicken or beef, for example, but I would still choose the Chair Siu above all. 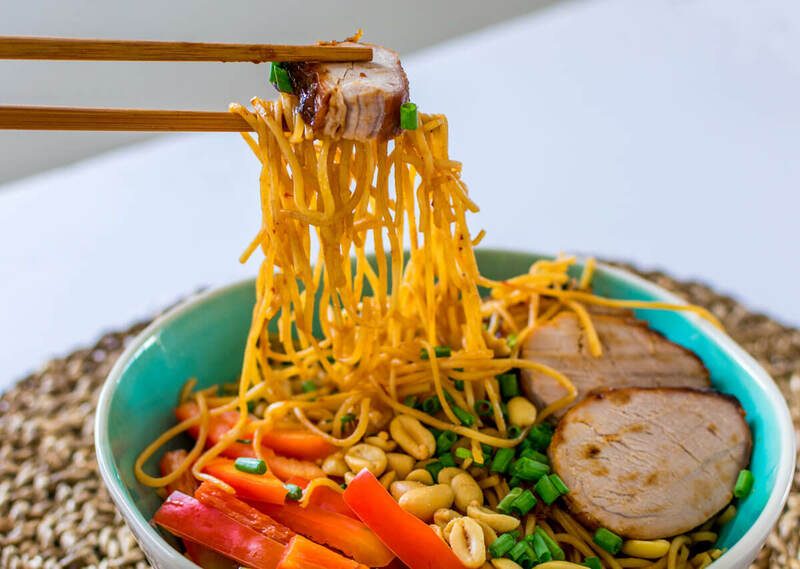 The Kung Pao Noodle has a certain simplicity, but the Char Siu has a very flavorful taste which brings out all the flavors of the noodle. The Kung Pao Noodle Recipe is something that you can execute in 20 minutes or less. 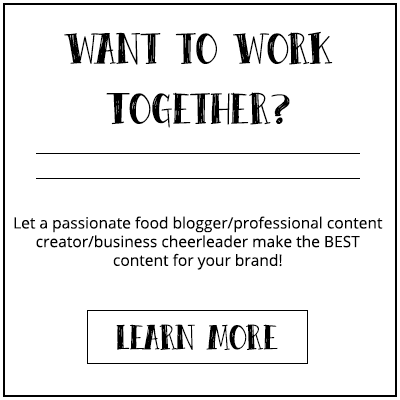 It’s so easy to make and can even be make-ahead of time. When it comes to serving this dish when entertaining at home, I think it will be perfect for an informal dinner with family and friends. Perhaps if you have some last-minute plan to entertain than this might a good choice. You’ll probably have most of the ingredients in your pantry if you make Asian meal often. The Char Siu take more time, so you have to start around mid-day, but most of the work is baking in the oven. 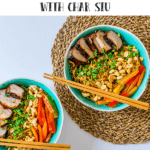 You can find the Char Siu recipe here and the Kung Pao Noodles recipe here below. 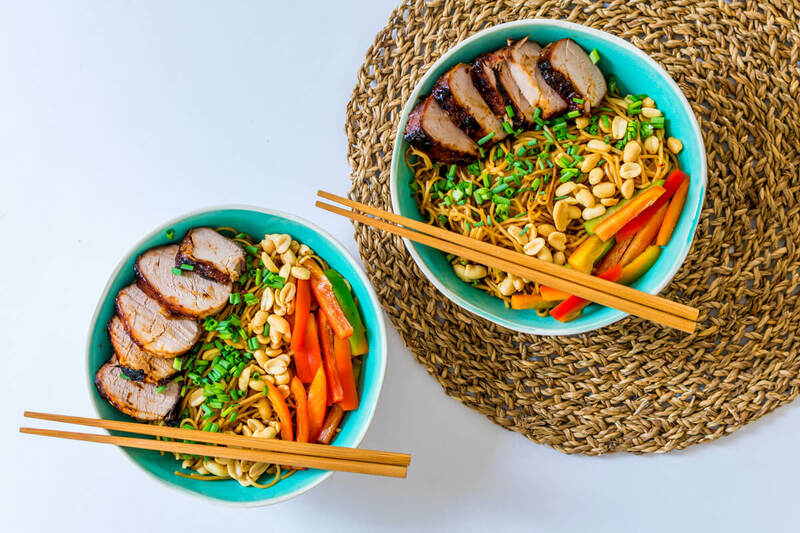 An easy and delicious Kung Pao Noodles recipe paired with some flavorful Char Siu (Chinese BBQ Pork). A great recipe for weeknights or informal dinners. Prepare the noodles according to the package instructions. Drain the noodles and set aside. Whisk in a small bowl the cold water and cornstarch. Stir noodles, peanuts, bell pepper and green onions in a wok pan together with the sauce. Serve with fresh green onion on the top.